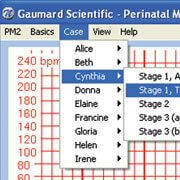 Gaumard® NOELLE® Maternal and Neonatal Birthing Simulator have been part of Maternal and Child Health programs for more than 50 years. This comprehensive teaching system combines the best of our patient care simulators with the Advanced Childbirth simulator. It is designed to provide a complete birthing experience before, during and after delivery. This Noelle comes with One (1) articulating birthing baby with placenta and One (1) Resuscitation Baby with intubatable airway and umbilical catheter site. 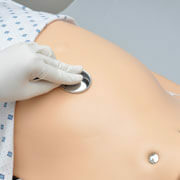 Multiple fetal heart sounds heard through conventional stethoscope. Resuscitation baby has intubatable airway and patent umbilical vein. Specify exactly when the “turtle sign” will occur and how long you allow students to deal with this dilemma. Extensible dilating cervix permits students to conduct vaginal exams and record results. New postpartum hemorrhage feature. The cervical os and cervix can bleed. The uterus can be massaged to reduce bleeding. All NOELLE® simulators now feature a placenta having detachable fragments. Students learn to carefully inspect the placenta to determine if it is intact. 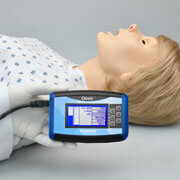 Monitor and log ventilations and chest compressions with Omni™ Code Blue® Pack. View feedback on your Omni™ device or any Windows computer.